What we love so much about STICKY CRYSTAL by PRECIOSA Crystal Components is that it allows for application using crystals with NO mess and it is super easy – it is literally a sticker! Crystal work often requires glue or a hot-fix machine, but now with the ease of sticker application, the ability to bling just got a whole lot simpler (and cleaner). STICKY CRYSTAL by PRECIOSA Crystal Components product can be applied to almost any surface including: plastic, paper, metal, wood, ceramic, glass, and more. (Please note: This product will not adhere to your skin or most flexible fabrics.) It has a strong adhesive that will not come off with normal wear and tear, but can be removed if desired with a little muscle, but no damage to your material. 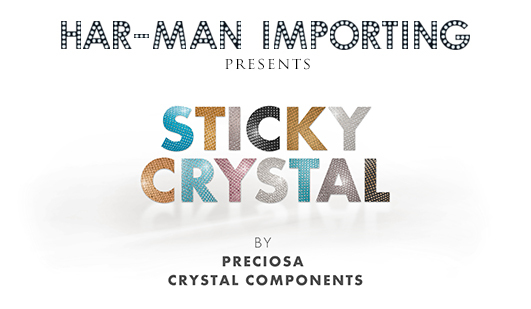 STICKY CRYSTAL by PRECIOSA Crystal Components is a Do-It-Yourself dream product! Scrapbooking is a great way to use rhinestone stickers, along with custom invitations and other paper goods/products. Other way to incorporate STICKY CRYSTAL by PRECIOSA Crystal Components is with jewelry and accessories, furniture and lifestyle products, packaging, beauty and health products, high tech, sporting goods, and much more – the possibilities are truly endless. Start thinking about all the things you can bling with these stickers. Look at your computer monitor……how about a border? STICKY CRYSTAL by PREICOSA Crystal Components is the first truly high quality self-adhesive rhinestone sticker on the market. It is made in Italy with the highest quality lead free (less than .009%) rhinestones from Preciosa in the Czech Republic. Become a part of the revolution and start getting STICKY with us! 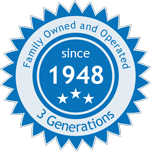 To order, visit our website today http://www.harmanbeads.com/sticky-crystal or call us at 1-800-BEADS-NY. HarMan also offers manufacturer styles not currently stocked, just download Preciosa's product catalog here and let us know what special order you are interested in!